The Gaviota Tourism Group and representatives from a number of fine hotels across Cuba are touring Canada this week. 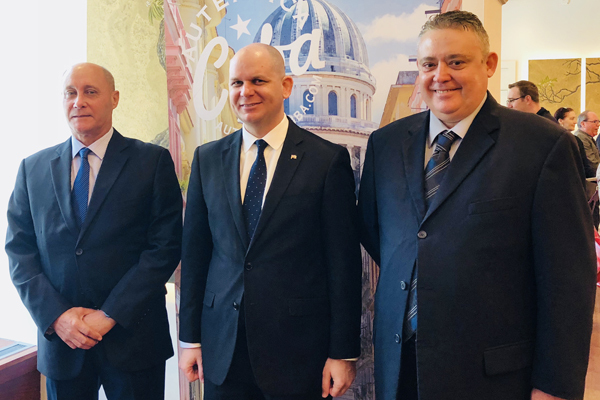 In Toronto on April 9 and Montreal on April 10, the representatives are here to highlight the extensive upgrades and developments taking place across in Cuba in 2019. Throughout this year, Cuba is committed to improving its accommodations offerings across the country with investments in existing properties to increase capacity and modernize design and decor. Cuba will also see the opening of two brand new properties, the International Melia Varadero Hotel and Hotel Paseo Del Prado. More developments in 2019 for travellers to look forward to include greater WiFi accessibility throughout Cuba, investments in transit, marinas, recreational facility, and cultural institution infrastructure, and Havana’s 500th anniversary celebrations. All these investments will be made in hopes of attracting a new and greater audience to Cuba. In 2018, Cuba welcomed 4.7 million tourists, and projections for 2019 are estimated to surpass the 5 million mark.